Cover FX have made it their mission to let every skin tone find its perfect make up match and, in an impressive 40-strong ‘global shade’ range, this silky foundation is mission accomplished. With a lightweight texture, the formula leaves a luminous, soft-focus finish with buildable, medium-to-full coverage. Loaded with skin care ingredients, it contains vitamins C and E to protect against free radicals and hydrate your complexion to leave it smooth and radiant. 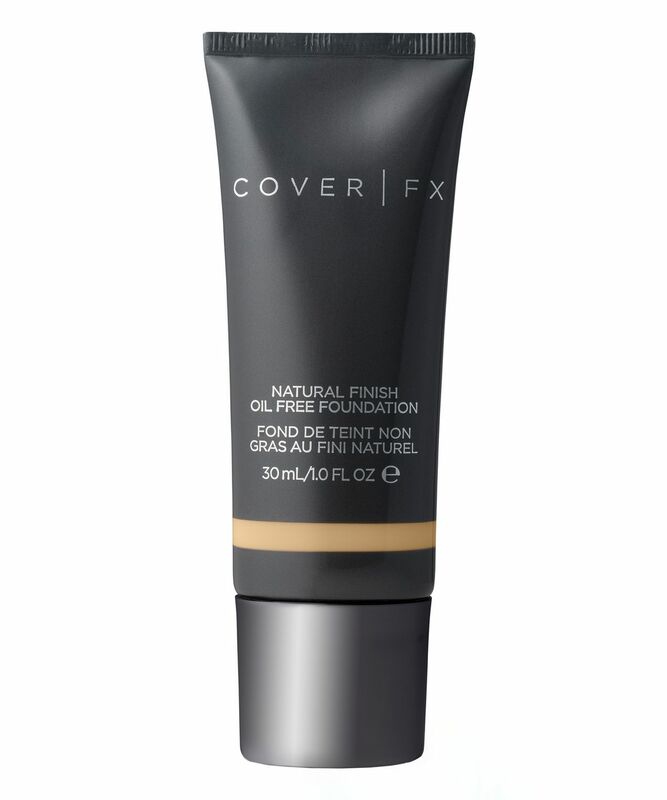 With a whopping 40 shade options, Cover FX’s Natural Finish Foundation is the secret to finding a perfect make up match for your skin tone. Perfect for normal to dry complexions, this water-based, oil-free liquid foundation glides onto skin seamlessly and leaves a lightweight, luminous effect. Kind to skin as well as gorgeous, it’s hydrating and loaded with ingredients you’d expect to find in skin care, including vitamins C and E to protect skin from harmful free radicals. Effortlessly applied with brush, sponge or fingers, the only part that takes any thought is choosing your shade – with 40 natural-looking colours designed to suit every skin shade and undertone, this is beauty without boundaries. For brush application, place a small amount of product on the flat top of the Liquid Foundation Brush and apply to the face until well blended. Set with loose powder for optimum wear. Can also be applied with the fingertips or a make up sponge. Never heard of this brand but decided it to give it a try as it is vegan & cruelty free. I was impressed by the coverage & natural look. I used G90 & applied it with a silicone sponge. Stayed put all day with no creasing or flaking. Definitely my go to foundation forever!!!!!! Love it but after 5 hours or so it cracks. Tried it with different primers and moisturisers, cracked every time. Very good for normal/oily skin, not for dry skin. Good coverage and colour match but the foundation rubs off and doesn't adapt to my skin. Worst foundation I've ever bought. Natural but still had coverage. It is silky, but bit richer in texture on the skin but easy to blend. Definitely one of the best. I have oily and acne prone skin. I've struggled to find something that didn't slip off acne scarring, covered scars and made my oily skin look healthy and fresh all day. This does it! I bought it in Sephora Australia and I was definitely matched with a shade too dark, but I love this foundation so much. It lasts all day, builds to full coverage very easily, and makes my skin look so GOOD. Definitely going to be getting a lighter shade next time, but yes I would recommend this for oily and acne prone skin.